Hinamatsuri 2014 - Super Inky! Hello everyone!It's Hinamatsuri again- or Japanese Girls' Day. 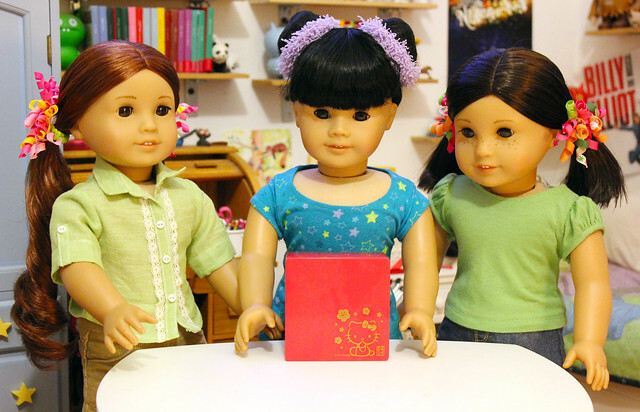 I am celebrating the holiday with my friends Hanabi and Zoya Yumiko. This is Hanabi, but she likes to be called Abi. She alternates between living in Japan and New York City. I'm glad she's here this year! And here's Zoya Yumiko! 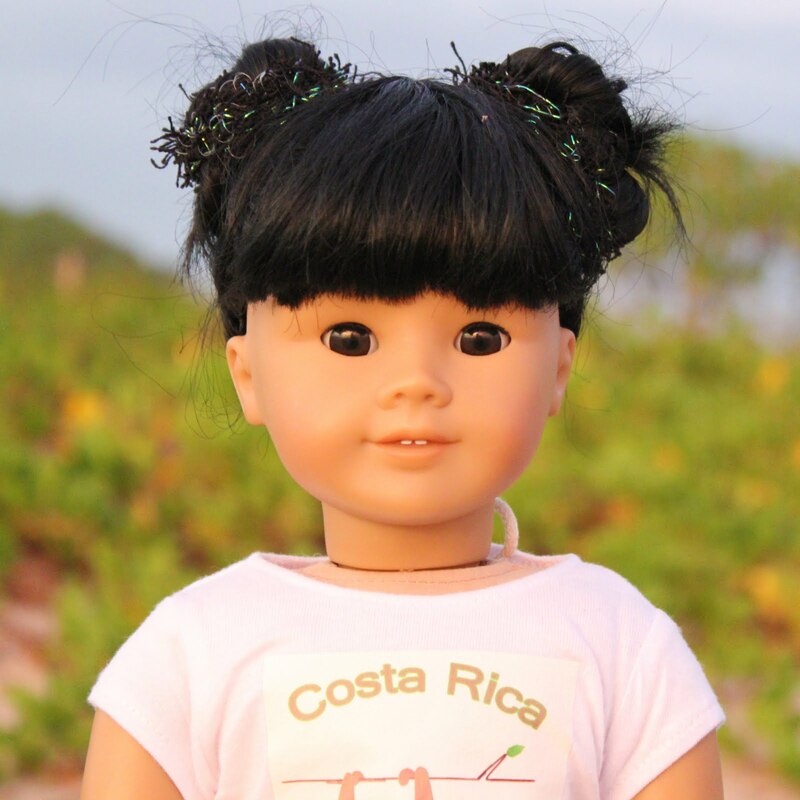 She has a really cute set of dolls especially for the holiday. This year, she found a second set and gave the second set to me! Now I will always be able to celebrate the holiday with my friends! Thank you Zoya! The dolls come in this special red and gold box. As you can see, the set is Hello Kitty themed! So cute, right? All the pieces fit together nicely into little compartments. I love looking at them! We carefully took all the pieces out of the box. Hanabi kindly folded the backdrop accordion-style for me. Zoya checked to make sure that nothing rolled onto the floor- the pieces are very tiny. Here are the hina ningyo all set up! Aren't the little kitty emperor and empress adorable? I'm so happy Zoya Yumiko gave me this set! Happy Hinamatsuri! Thank you for celebrating with me. 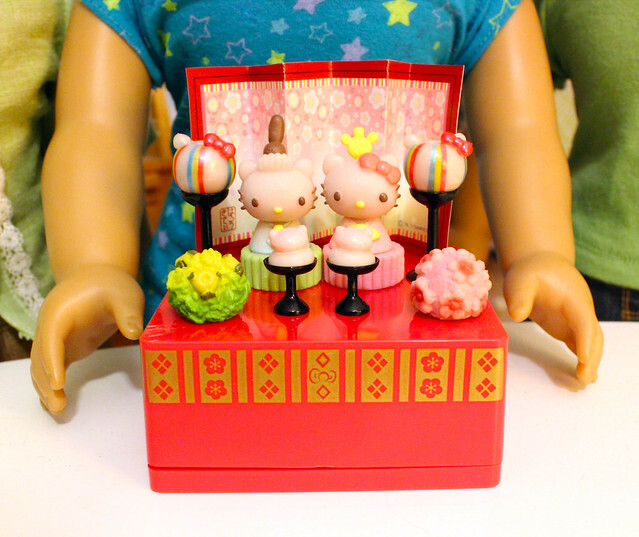 Have you ever celebrated Hinamatsuri or any other Japanese holiday? What did you do? 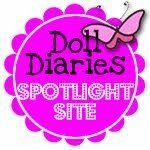 In this entry I'm wearing: a blue starry tee by LizzieBeeDesign. 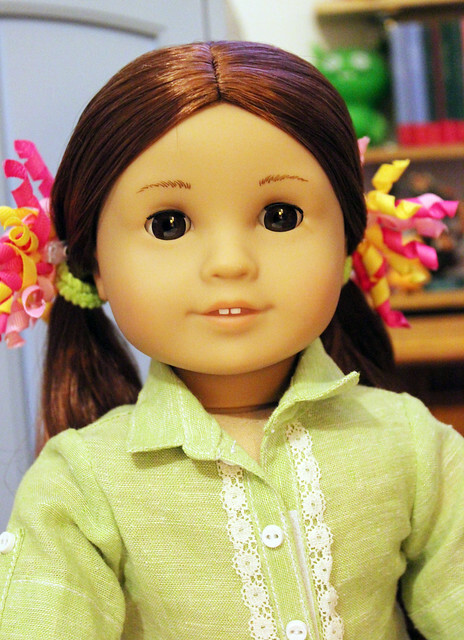 Abi is wearing a lace oxford shirt from Janie Jumps and Zoya Yumiko is wearing a tee from Royal Doll Boutique. 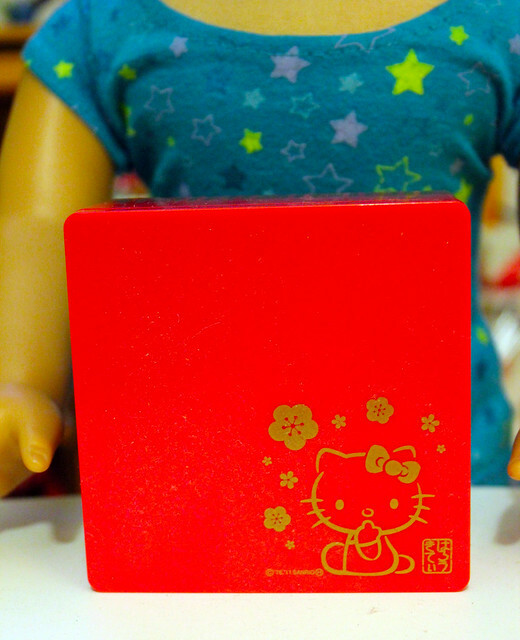 Inky, your Hello Kitty dolls for Hinamatsuri are so cute! What does "hina ningyo" mean? 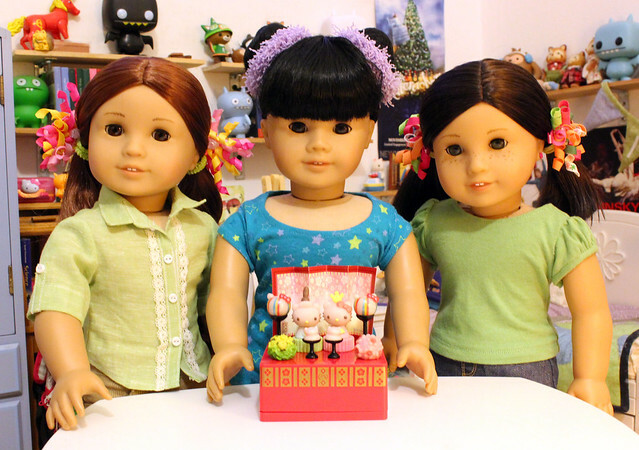 I understand that Hinamatsuri is sometimes called "Girls' Day" and sometimes "Dolls' Day." 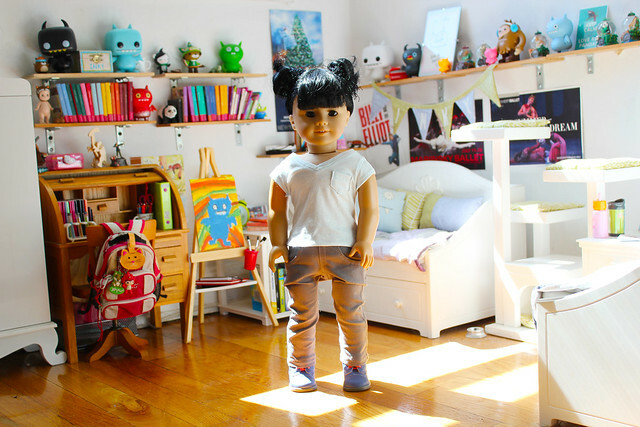 I wonder if boys play with dolls in Japan sometimes? Surely they do. 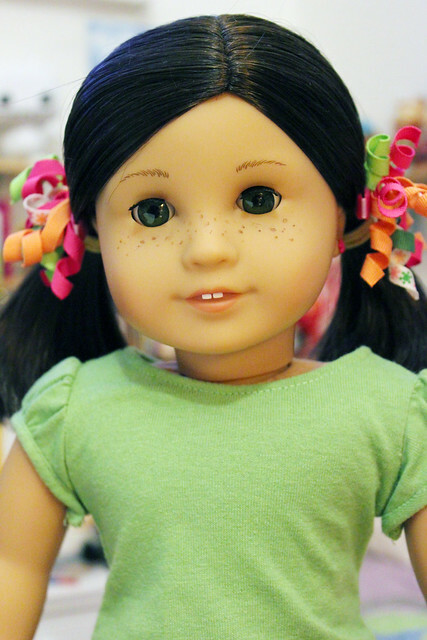 Dolls are the best! It's lovely that Abi and Zoya Yumiko came over to celebrate the day with you. Thanks for sharing your pictures! Hina Ningyo are the special dolls for Hinamatsuri. I'm sure boys play with dolls too in Japan sometimes! 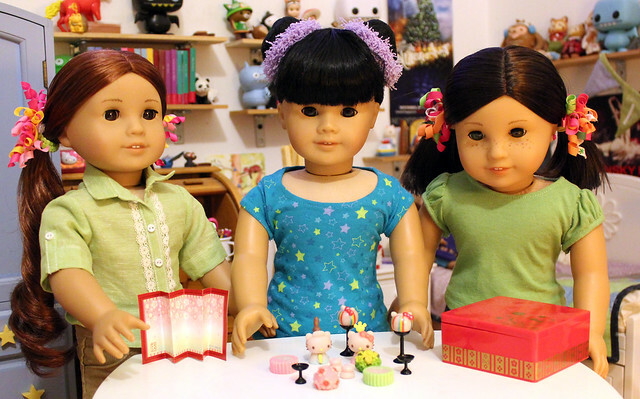 The holiday is sometimes called Dolls' Day because of the tradition of setting up the Hina Ningyo. There is also a Children's Day, which used to be called Boys' Day. Thank you for commenting! 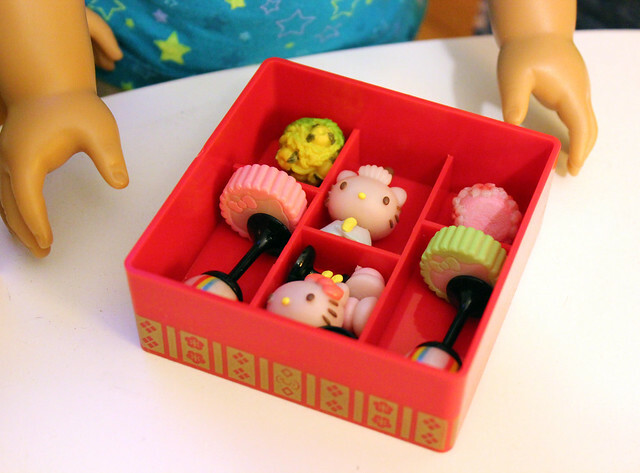 Yes we do celebrate hinamatsuri, we just put up a blog post about it and linked to your blog too :) we also really love the hello kitty hina dolls that zoya yumiko gave you. Aww, that set is so cute! Thank you Susie! I love it too!